Størrelse på denne forhåndsvisningen: 450 × 600 piksler. Andre oppløsninger: 180 × 240 piksler | 555 × 740 piksler. English: Leaning Tower of Pisa, Italy. They have tried to fix the lean of this tower several times. The most recent time, I believe, was in 2001 when they tried to drill into the ground and pour cement underneath the sandy surface. Français : Tour de Pise, à Pise, en Italie. 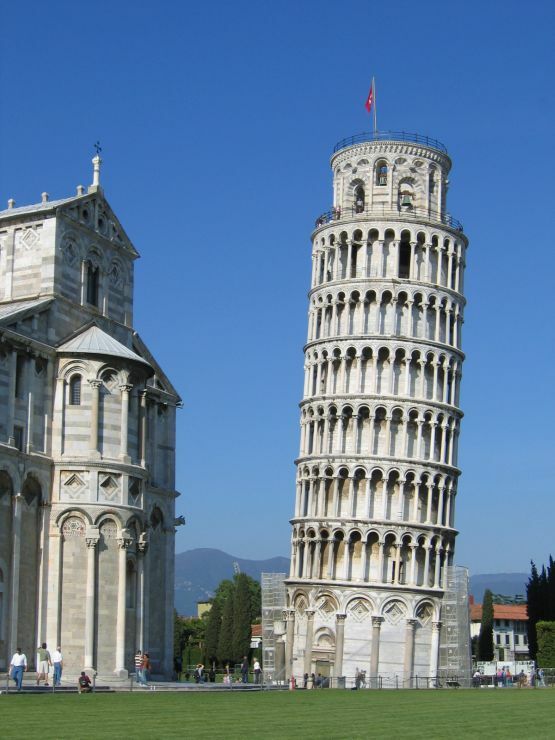 Deutsch: Der Schiefe Turm von Pisa in Italien.